Today I have brought of you the Latest Version of SAMSUNG Mobiles Drivers Pack for all types of SAMSUNG Mobiles including of Android and java. 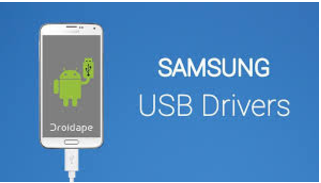 SAMSUNG USB Drivers allow SAMSUNG Mobile users to connect their mobiles with PC and share between PC and mobiles through a USB Cable Android phones are required to allow Android debugging option to connect and share data or install applications and backups on your PC. This pack works for both types of Windows. Therefore, you don't worry and you do not need to search of Windows 32 and Windows 64 drivers. A driver is a software component that lets the operating system and a device communicate with each other. If you have window 7 or window 8 and connect your system with internet and then when you connect your android phone with PC, Windows automatically start to download drivers but it takes longer time to download driver and you can not back it up. If you want to keep backup for next time and quick install driver of your SAMSUNG device then click on the following download link.